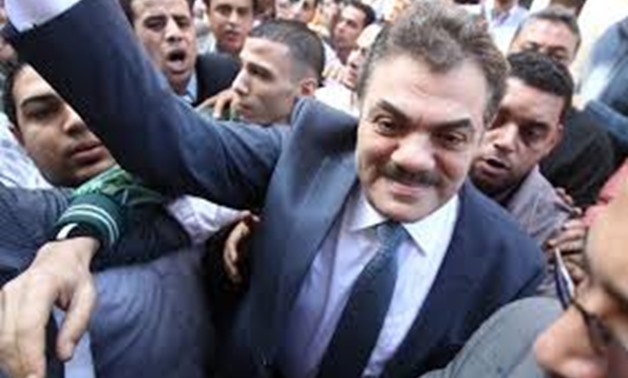 Head of the Wafd Party al-Sayyid al-Badawy has indicated that he intends to run in Egypt’s upcoming presidential elections, according to a number of local media outlets. The decision was taken during a meeting among party and security officials, who were deciding between Badawy and Hany Sarrey Eddin, Al-Masry Al-Youm reports. According to Egypt’s election law, presidential hopefuls need to collect at least 20 endorsements from Members of Parliament, or 25,000 endorsements from eligible voters across at least 15 of Egypt’s 27 governorates, with a minimum of 1000 from each governorate in order to be allowed to run in the elections. Before Badawy’s decision to run, the Wafd had planned to give its support to sitting president Abdel Fattah al-Sisi, with the majority of Wafd Party MPs already having endorsed him. Monday January 29 is the last day to submit the required paperwork to the National Elections Authority to be allowed to run in the elections, scheduled for March 26-28. The decision comes after Khaled Ali, the only remaining major presidential candidate besides President Abdel Fattah al Sisi, announced on Wednesday that he was withdrawing from the race, citing a deteriorating democratic process. On Tuesday, Chief of Staff Sami Anan was disqualified from running due to allegedly violating military rules by announcing his intention to run without seeking prior approval from the army. The liberal Wafd Party, founded in 1918 by nationalist leader Saad Zaghloul, was one of Egypt’s most instrumental political currents during the struggle against the British occuption of the country following the First World War. After Egypt gained partial independence in 1922, the Wafd emerged as the strongest political force in the Egyptian parliament.